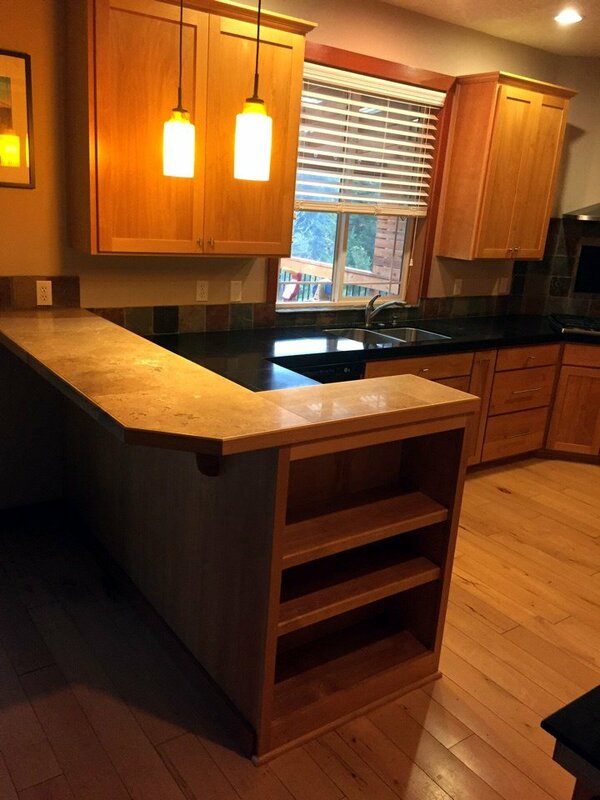 Our awesome client, Katie, was looking to clean up the look of her kitchen bit. She wanted new cabinets and when we told her refinishing would be within her price range, she was ecstatic! She was even able to afford new quartz countertops with the money she saved. Saving money on your kitchen remodel ultimately means you get to put in more cool stuff. 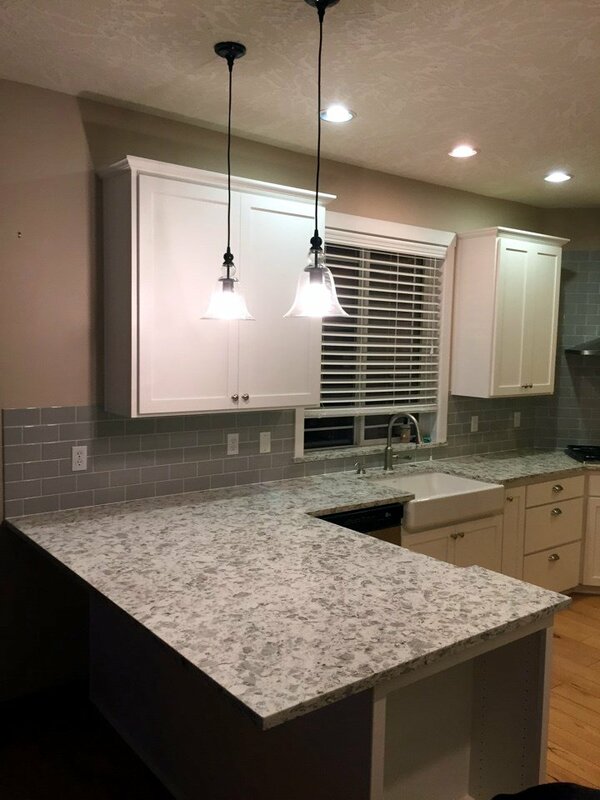 We replaced her tile countertops with quartz and a new sink, all new lighting and electrical work, clean subway tile backsplash, and sanded+painted her cabinets. Sorry about the nighttime photo shoot! 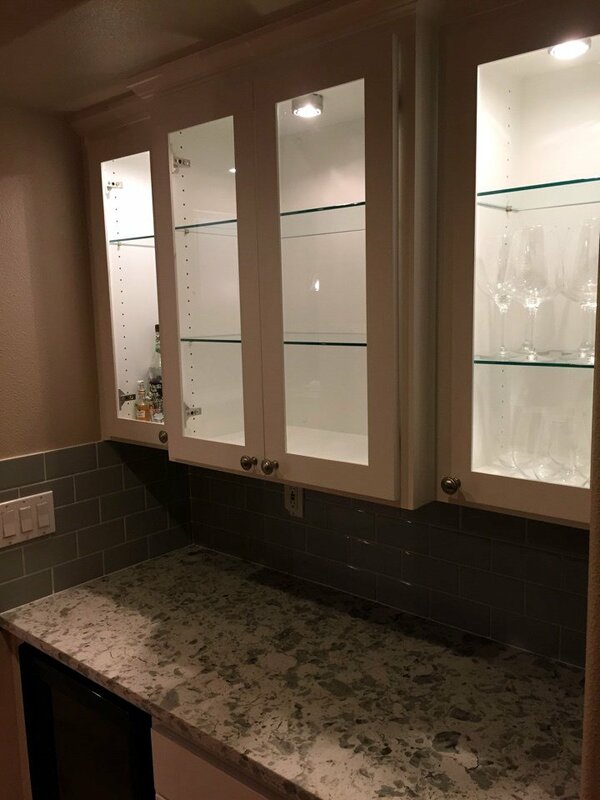 Lit cabinets are an elegant way to show off your glasses and fine dishes.